Right before and after the holidays you’ll probably get a lot of bank offers to transfer credit-card balances from one account to another. If you see balance transfers as an opportunity to go on a shopping spree, chances are you haven’t quite learned how to manage credit and debt wisely, and that balance transfer deal is simply going to lead you into financial trouble. But does that mean that balance transfers are always bad ideas for everyone? Absolutely not. 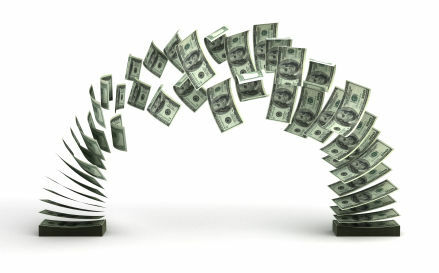 In fact, many people can use a balance transfer strategically, to save money and to boost their credit rating. To raise your credit scores, it’s always best to pay down debt, as opposed to shifting it around. However, for most people trying to boost their credit rating, it’s not always possible to instantly pay off all their credit card debt. So what can you do in that case? You can shift debt around – or increase your available credit – in order to strategically lower your credit card utilization rate. For example, let’s say your creditors have extended to you a total of $15,000 in available credit on all your cards. If you’ve charged $10,000 on those cards, you’ve used up two-thirds of your available credit and your credit utilization rate is 67% – not good. What is the “Ideal” Credit Utilization Rate? To increase your credit scores, it’s imperative that you slash your credit utilization ratios. No one knows the precise magic number when it comes to credit utilization rates; FICO doesn’t reveal the exact “ideal” credit utilization rate. However, we do know that higher credit utilization rates generally translate into lower FICO scores. And statistically speaking, those with lower credit utilization rates have higher FICO scores. Therefore, conventional wisdom is that it’s best to keep your credit utilization rates at a maximum of 25% or so for a higher FICO score. (If you haven’t seen your FICO score lately, read this article on how to get your FICO score free). Besides, you need not worry about having a 0% credit utilization rate simply because, believe it or not, individuals with a 0% credit utilization rate actually have lower credit scores – an average credit score of just 678, versus average credit scores of 745 for those with credit utilization rates ranging from 1% to 10%, according to data from CreditKarma.com, which analyzed a random sample of 70,000 credit scores. 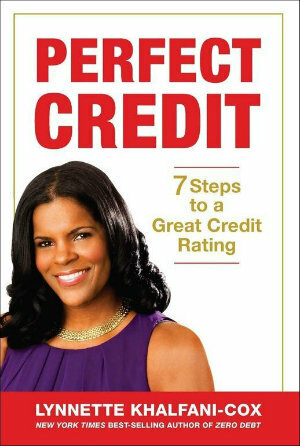 How is it possible that those with a 0% credit utilization rate have average credit scores of only 678 points? CreditKarma.com suggests a few likely causes. First, it’s possible that individuals with a 0% credit utilization rate have no credit cards at all. This could actually hurt their credit rating, because 10% of your credit score is based on the mix of credit that is contained in your credit files. Having a credit card, along with different forms of credit, shows that you can responsibly manage various types of credit simultaneously. Another plausible reason for the lower scores among those with a 0% credit utilization rate is that those individuals never use their credit cards at all. That’s another reason to regularly use your credit cards, even if only occasionally, just to keep them active. Shifting debt from one credit card to another is more art than science, but done properly, it can boost your credit scores and also save you lots of money (particularly if you’re taking debt from one card with a higher interest rate and putting it on a card with a lower interest rate). The key here is to minimize the debt you’re carrying on a card that has a high credit utilization and transfer that debt onto a credit card with a zero balance or a low balance. For example, assume you have two credit cards, and each has a $5,000 credit limit. If one card has $2,500 in charges, and the other card has a balance of $500, your current credit utilization rate is 30% ($3,000 owed divided by your $10,000 overall credit limit). You may be able to positively impact your credit scores, however, if you spread out some of that $2,500 in credit card debt from the first card. By shifting $1,000 of that balance onto the other card, your overall credit utilization rate will still be the same: 30%. However, the credit utilization rate for the first card will drop from 50% to 30%. Meanwhile, the second card will also have a new credit utilization ratio of 30%. Opening a new credit card account can also lower your overall credit utilization ratio, even if you don’t charge anything on that new credit card. Applying for the new card will generate an inquiry on your credit report, which can definitely impact your credit score. However, having that additional line of credit can more than make up for any hit to your credit that results from the credit inquiry. After all, your credit utilization ratio comprises 30% of your credit score, and inquiries only account for 10% of your score. (Starting in 2011, however, inquiries will carry more weight under some credit scoring systems. As I explained recently in a DailyFinance column on upcoming changes to the world of credit scoring, theVantageScore will count inquiries as 30% of your overall credit score). Using the same example above, assume you have those two credit cards with a total of $10,000 in available credit, and $3,000 in charges made, for a current credit utilization rate of 30%. If you open a new credit card account with a $5,000 credit limit, now your overall credit utilization rate drops to just 20% because you’ve charged $3,000 and you have a grand total of $15,000 in available credit across three different cards. You could also evenly distribute the amount owed on each card, putting $1,000 each card, so that each card would have a 20% credit utilization rate. This could potentially improve your credit scores because you would lower your credit utilization rate on each individual card from either 50% (as in the first example above) or 30% (as in the second example). Again, paying off credit card debt is the sure-fire way of raising your credit scores. But when that’s not possible, adjusting the balances can help. The best way to determine the effectiveness of shifting around balances is to monitor your credit. That way, you’ll see the impact that your actions have on your credit standing. So the bottom line is this: when initiating a balance transfer, you want to do it the right way. And having one new account with a low or very competitive interest rate can not only save you big bucks, it can also help improve your credit rating.